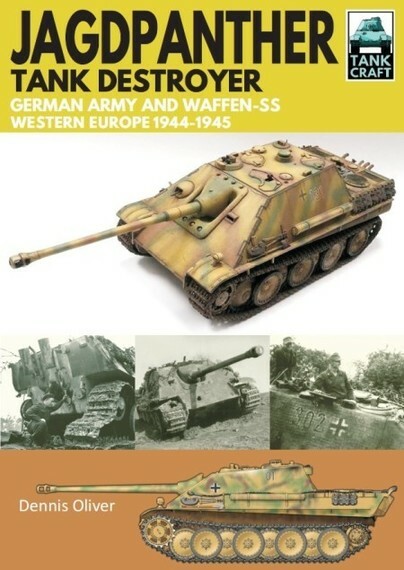 You'll be £6.00 closer to your next £10.00 credit when you purchase Jagdpanther Tank Destroyer. What's this? Pros: Really interesting concept to combine historical, technical and modeling content in one book. Nicely illustrated. Good selection of paint schemes tied to specific units and periods; good kit and accessory reviews; good, brief unit histories. Highly Recommended for Beginner to Intermediate builders. Verdict: An exhaustive study which will definitely help the modeler achieve true scale and realism in their work, while also imparting some interesting history. I love it. An interesting book with a varied number of contents aimed at fans in general and the model of battle tanks in particular. Another useful addition to the Tankcraft series from Dennis Oliver and an ideal modellers reference.